Will markets absorb the extra 6mt (million tonnes) of pulp to be added to output in Brazil in just three years, without causing prices to fall? With numerous high-cost mills being shut down in North America and Europe each year, the companies forming the industry in Brazil, which claims to be the world’s lowest-cost producer of market pulp, hope to find customers for the 6mt which will be added to output between January 2013 and late next year, without causing prices to fall. Brazil, the world’s third-largest producer of market pulp after the United States and Canada, will soon be making more than 20mt and exports will exceed 12mt a year before long as well. The export of 9.63mt of pulp in 2013 earned Brazil more than $6 billion dollars, 5% of the country’s total export earnings, while the export of almost 2mt of paper earned about US$2 billions. There is a lot in the pipeline. 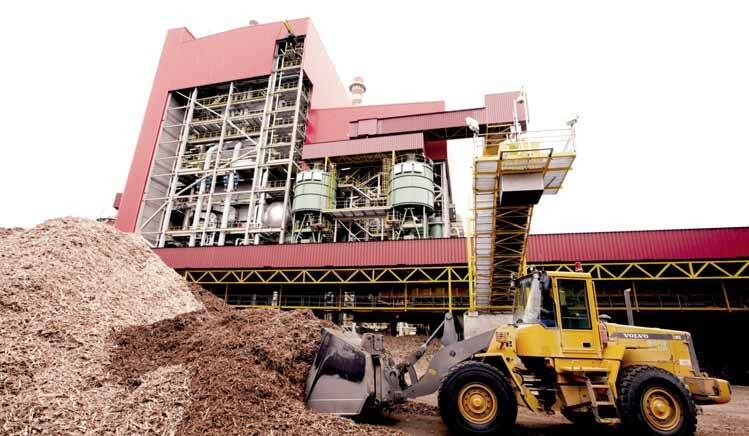 In the past few weeks, the Suzano company, Brazil’s second largest, has started up its 1.5m- capacity mill at Imperatriz, in Maranhao state, the first large mill in the north east region. The 1.5mt capacity Eldorado mill at Tres Lagoas, in Mato Grosso do Sul state, built by an associate of the world’s largest meat producer, JBS and which started producing pulp in January last year, has now attained full capacity. Eldorado expects to add about 200.000 tonnes extra capacity by de-bottlenecking at the new mill in the next few months. The Chilean owned CMPC company will start up new a line at the Guaiba mill in Rio Grande do Sul state, which it bought from Fibria a couple of years ago, taking capacity there to 1.5mt early in 2015. Guaiba pulp will be exported from Porto Alegre or Rio Grande. Fellow Chilean company, Arauco, together with Stora Enso, a partner in Brazil with Fibria at the Veracel mill in Bahia state, is in the process of starting up a 1.5mt-capacity mill in neighbouring Uruguay.This mill will also provide extra competition for the new mills being built in Brazil. Market sources suggest that about two million extra tonnes of pulp are needed to meet demand worldwide, which grows by about 2% each year. If several elderly and high-cost mills close down, however, as they have done in recent years, markets may be found for more than that, without causing prices to fall. The old established Klabin pulp and packaging company has started work on a new 1.5mt pulp mill in Parana state. A blend of both eucalyptus and pine wood will be used to make the pulp which Klabin has found is most suitable for making the high quality packaging papers which are its speciality. Klabin is a leading supplier of the packaging used to contain liquids, with Tetrapak its leading customer for this product, both in Brazil and abroad. Demand for liquid packaging has grown faster than supply in recent years, as the range of goods packed in containers formed of layers of board, plastic and aluminium, soars. The range of sizes is being extended as well and Klabin now has no spare capacity in the area of liquid packaging. Klabin’s paper is shipped from the port of Paranagua, and arrives there by train. Eldorado is anxious to make a start on duplicating its mill at Tres Lagoas and after a long gap, Fibria, which has had its investment grade status restored after reducing its debt level from four or five times its annual revenues, to just over twice annual earnings in the past couple of years, also plans to build a new line at its mill at Tres Lagoas. Fibria’s new mill will start up in 2018 or so. Some of the pulp from Fibria’s mill is processed into printing and writing paper at an adjacent mill owned by International Paper. The great majority of Brazil’s pulp and the 2mt of paper, most either tissue or packaging which is exported, leaves from three ports, Santos, Paranagua and Portocel. All the pulp produced by Fibria at its Tres Lagoas and Jacarei mills leaves from Santos, where the company has its own warehouses, as does that from the Eldorado mill. Most is taken about 1,000km to the port in special trains. Santos also handles large quantities of paper each year. Almost 70% of the 10mt of pulp exported by Brazil each year leaves from the Portocel port in Espirito Santo state. Portocel is owned jointly by Fibria and the Japanese owned Cenibra company, whose mill is in Minas Gerais state, alongside the Vitoria-Minas railway, which is owned by the Vale mining company. The pulp shipped from Portocel includes all that made at the three lines at the now elderly and relatively small Aracruz mill, a pioneer when it first started up 25 years ago, together with pulp from Suzano’s Mucuri mill in Bahia state. Pulp made at the Veracel mill, jointly owned by Fibria and Stora-Enso and that made by Cenibra in Minas Gerais also uses this busy port. Portocel also handles timber brought along the coast by barge for use at the Aracruz mill, which reduces the pressure caused by thousands of heavy trucks on roads. The third port, which handles virtually all of the packaging paper exported by Klabin, most of it destined for countries in Europe, or the United States, is Paranagua in Parana state, also linked by rail to Klabin’s mills. All the pulp to be exported by the new Suzano mill will be taken 600km by rail to the deep water port of Itaqui, in Maranhao state along tracks owned by Vale. The port of Itaqui has the advantage of being three to four days less sailing time to destinations in north America and Europe than ports in the south, which means the cost of transport will be lower. With most of the pulp from the Suzano’s new mill to be sold to the United States and Europe, the pulp produced at Suzano’s Mucuri mill, in Bahia state, and Suzano’s mill in Sao Paulo will in future go to China via South Africa, rather than to North America and Europe. Two other companies are being tempted by the advantages brought by shipping from the north, as well as by the fact that land costs much less there. One is a company presided over by Osmar Zogbi, previously chief executive of the Limeira mill, in Sao Paulo state, sold to Fibria, or VCP as it then was, a decade ago. Mr Zozbi is putting together a consortium involving international as well as Brazilian capital to finance this mill. Another new mill is planned for Mato Grosso do Sul state by the newly formed Braxcell company. Despite strenuous efforts, the Brazilian pulp exporters have not been able to persuade paper companies in North America, Europe and China, to pay up to $20 per tonne more for their pulp in the past few months. The Brazilians claim that stocks are relatively low and demand strong, so a rise is justified. But it seems that the industry will have to make do with the advantage brought by the fact that the Brazilian currency fell by 18% against the US$ and other currencies last year. The devaluation means the Brazilian companies get more in the local currency in which most of their costs are incurred than before. Although the fact that much of the finance from new mills comes from abroad, means debts in foreign currency now cost more to service, following the weakening of the real. paper which has become Brazil’s main speciality, has slowed slightly. Growth could fall further in the next few years, as the Chinese authorities attempt to restrict GDP growth to around 7%, compared with the 10% of the past 20 years. The prospect of slower growth in China, now the destination of about a quarter of the pulp exported from Brazil, worries many in the industry. Although because much more is now sold to China than was the case a decade ago, the base is much higher. Virtually all the new pulp mills built in Brazil in the past few years, have been largely financed by the National Development Bank, the BNDES. One of the functions of the BNDES is to identify industries in Brazil which have the potential to compete successfully in world markets. None fulfills this criteria better than pulp. Following steady investments in forestry and genetics, trees can now be cut six years after clones have been planted, two years less than was normal a decade ago. Trees take an average of 13 years to reach maturity in southern Europe, 30 years in China, and not much less in much of North America. Until recently, trees were usually allowed to sprout twice after the first cut. But advances in productivity mean that is now rare for a plantation not to be grubbed up and planted with a higher yielding variety after just two cuts. In some cases, trees are grubbed up after just a single cut. This means that the same amount of wood is produced from a far smaller area than in the past and up to 40 tonnes of wood can be added to forests on each hectare of land each year. The two largest companies in the industry, Fibria and Suzano, both feel that to continue to survive in an increasing competitive world, a new round of mergers in Brazil would be beneficial. They have called on the BNDES, the main source of finance for the industry, to help bring this about. Other companies, notably the Chilean-owned CMPC, thinks that the market should be left to decide the best course of action. One company which has benefited greatly from BNDES finance has been JBS, now the world’s largest meat packing company. In the past decade JBS has been loaned huge amounts of BNDES money to buy meat packing plants around the globe, as well as to build its Eldorado mill. The Eldorado mill now owes seven times its annual earnings, compared with the two or three times of most competitors. JBS’s Eldorado is anxious to duplicate its mill in Mato Grosso do Sul, but so far the company has not been able to persuade the pension funds of three of Brazil’s leading state owned companies, another important leading source of finance for the industry, to lend it more. Fibria, which now has capacity to make 5.3mt of pulp at its three mills, owes less than twice its annual revenues, Suzano only slightly more, while the always conservative Klabin company now owes very little, and will still owe less than a year’s earnings when building and financing its new mill is at its height.